World-Class Data Repository and Analytics by Beonic Technologies: A Gumstix Success Story | Gumstix, Inc. In the traffic counting business since 1994, Beonic combines best-of-class people-counting technologies and our world-class data repository and analytics platform for the Australian, New Zealand, Asian, and South American markets. Over the last two decades, Beonic data collection devices have been installed around the globe in major shopping centers, leading retailers, airports, transport hubs, sports facilities, clubs, casinos, art centers, opera houses, and other public facilities. Our accurate counting data and analysis allow our customers to implement process improvements. 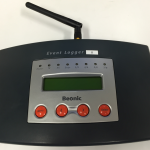 The Beonic Event Logger (EL) is our data acquisition unit. It is used to count and store several channels of NPN and/or PNP pulses from a variety of custom and third party sensors (laser, thermal imaging, Infra Red, magnetic, etc.). The counts are aggregated minutely and stored in nonvolatile memory for collection via RS422 or IP. Such data is combined with other data sources in our analytics platform to identify actionable insights for our retail and infrastructure clients. As every industry’s needs are a little different, the units are end-user configurable utilizing a LCD and four button user interface. Eight LEDs provide status information. The market in which Beonic operates is small and highly specialized, requiring custom hardware solutions and low volumes. Our third generation EL was in need of a redesign due to difficulties sourcing a number of end-of-life components and changing enterprise customer demands; IPv6 support was the most pressing demand, along with remote maintenance and configuration. At the same time, we were moving our software development platform from Windows & Delphi to Java EE for our Traffic Insight v5 analytics platform. Our team had developed a few embedded Linux products utilizing off-the-shelf x86 mini-ITX motherboards. Linux and C demonstrated significant productivity improvement for our developers. Our design objective was to ensure that the redesigned unit was compatible with existing tooling, sensors, and communication protocols. The unit would be required to pass various EMC/EME standards. We also wanted to reduce the assembly and inventory costs. Computer-on-module (COM) was identified early on as the most attractive platform for our redesign, especially due to our small volumes. In addition to fit for purpose, our primary concern was unit availability and long term support. After evaluating a number of COM platforms, we committed to Gumstix. Their processor speed, RAM and on-board flash were a perfect fit for our platform and we appreciated their open expansion board designs and documentation. We chose to manufacture our own custom expansion board while ordering COMs from Gumstix to fulfil customer demand. This helped us cut inventory carrying costs by 83%. We decided to use our own kernel and build environment. Linux kernel support for the TI Davinici architecture is very solid. Code and hardware samples for other popular open source designs, such as the BeagleBoard, are directly transferable to the Gumstix Overo COMs range due to the identical process and power management. The exposed signals included everything we needed for our application: LCD, buttons and LEDs via I2C, ethernet, 3G via USB and 6 channels for external data via ADC. Embedded Linux & Busybox improved programmer productivity by an order of magnitude. Programs can now be written and tested on powerful x86 PCs before being cross-compiled to ARM. Advanced functionality such as IPv6 and 3G was added to our platform in days. Having a remotely accessible shell (telnet and ssh) has made a huge advance in our remote support capabilities.